We aimed to evaluate the safety and efficacy of ANGIPARS™ in a phase 2 clinical trial. This study was performed as a phase 2 clinical trial without a control group between May 2007 and September 2008 in the Iranian Rheumatology Research Center on a group of volunteer patients that were diagnosed with scleroderma. Patients with the diagnosis of diffuse or limited scleroderma without the involvement ofinternal organs were given 100 mg ANGIPARSTM capsules three times a day for 6 months, followed by 2 capsules a day for a further 3 months. Follow-up continued for a year. At the baseline, modified Rodnan score, pain severity and number of pitting ulcers, number of perioral folds, finger to palm distance, and open- mouth area were assessed in each patient. The measurements were repeated on a monthly basis and their change from the baseline was calculated. Possible adverse effects were monitored at regular monthly intervals through a complete set of laboratory tests and clinical examination. Eleven patients including 10 females were recruited. The mean age was 39 years (SD = 10.2). No significant changes and no abnormality in laboratory measures were found during the study. Repeated measure analysis revealed a significant reduction in the modified Rodnan score (Mean reduction= 38%, P value < 0.001), finger to palm distance and number of pitting ulcers (mean reduction 33% & 87.5%, respectively, and P values < 0.001 & 0.003, respectively), and an increase in open-mouth area (mean reduction = 20.6%, P value = 0.041). The drug had no effect the pain of the ulcers or on the perioral folds. ANGIPARSTM is efficient and safe for the treatment of the skin manifestations of scleroderma. Conducting a phase III placebo controlled randomized trial is recommended. Systemic sclerosis (SSc), which is also known as scleroderma, is a multisystem connective tissue disorder. It is characterized by generalized microangiopathy, which results in the thickening of tissue and fibrosis. The disease often involvesthe internal organs [1, 2]. Systemic scleroses have the highest rate of fatality among connective tissue disorders and 10-year survival of the disease is 55% 1. Raynaud's phenomenon is the most frequent manifestation of vascular abnormalities in SSc. Abnormal reaction of blood vessels to stimuli results in digital ischemia and complications such as digital ulcers andnecrosis [2, 3]. In a large cohort of patients with SSc, the frequency of digital ulcers was estimated at 48% at the beginning and 54% at a 7 year follow up . Using a self-reported anonymous scleroderma questionnaire, Mawdsley reported that 46% of scleroderma patients had suffered from digital ulcers during the course of their disease . During a 3-year QUINS study, a frequency of 25.1% was reported for digital ulcers in limited SSc . It seems that the development of digital ulcers in scleroderma is multi- factorial. Factors such as ischemia caused by vascular disease (Raynaud's), sclerodactyly, dry skin, calcinosis, and local trauma all contribute to ulcer development. In addition to superimposed factors such as infection, epidermal thinning, skin being tightly stretched over joints and associated contractures, poor blood flow and tissue oxygenation mean digital ulcers do not heal. The digital ulcers are extremely painful and are associated with a significant reduction in the functions of the hands. Thus, introduction of new treatment for the ulcers plays a crucial role in the management of patients with Scleroderma and may help to improve the functioning of their hands. At present, there is a limited number of therapeutic options for the treatment of digital ulcers in patients withscleroderma . Furthermore, skin fibrosis remains a therapeutic problem in SSc and there are limited treatments for the skin manifestations of scleroderma. The role of D- penicillamine remains controversial [8, 9]. Prostaglandin analogue infusion is still the treatment of choice for digital ulcers , and Bosentan as the second line drug has been used successful in the management of Raynaud's phenomenon and digital ulcers. The evidence for Bosentan however, is limited to small non-randomized studies [11, 12] and some case reports [10, 13]. Some small studies have suggested clinical utilities for Methotrexate and mycophenolate (mofetil). Relaxin and minocycline have also been proposed for this purpose; however, their beneficial effects have not been tested in randomized controlled trials. Ultraviolet- A light therapy seems to be safe and effective for localized forms ofscleroderma . ANGIPARS™ is a herbal drug containing Mellilotus Officinalis dried extract and is effective in the treatment of diabetic foot ulcers . The safety of the product was established by conducting a complete set of preclinical studies and in-vivo and in-vitro tests for acute and subacute toxicities as well as genotoxicity [15-17]. Previous clinical studies have shown the efficacy and safety of the drug in the treatment of diab etic footulcers [18-21] and pressure sores [22, 23] with some immunomodulatory effects being observed for thedrug 18. In previous studies, the possible known mechanism for ANGIPARSTM has been described as angiogenesis and has been said to improve microcirculation [19, 20, 22, 23]. In this study we aimed to evaluate the safety and efficacy of ANGIPARS™ for the treatment of the skin complications of scleroderma including skin involvement, and the healing of digitalulcers. This study was conducted as a phase 2 clinical trial without a control group between May 2007 and September 2008 in the Iranian Rheumatology Research Center on a group of volunteer patients with the diagnosis of scleroderma. Ethical approval was obtained from the Ethics Committee of Endocrinology and Metabolism Research Center affiliated with Tehran University of Medical Sciences. All patients gave written informed consent before taking part in the study. The patients were not paid to participate in the study, nor did they pay anything for medication or labtests. Patients with diagnosis of diffuse or limited scleroderma, according to the American College of Rheumatology's criteria with skin involvement who had not had adequate response to the current treatments of scleroderma were enrolled into the study. Inadequate response in SSc patients was defined as less than a 10% improvement in Rodnan Score during the standard course of treatment. For sample size estimation, we aimed at recruiting 14 patients in order to demonstrate at least 20% of the therapeutic effects . Only those who had Raynaud's phenomenon and positive anti-centromere or Anti-SCL-70 antibodies were included in the study. Patients with life threatening conditions, osteomyelitis, other systemic and autoimmune diseases, involvement of internal organs such kidney, lung and heart, or presence of infection at the site of the ulcer were all excluded. The diagnosis of scleroderma was confirmed by tworheumatologists. Baseline characteristics such as skin thickness, finger to palm distance, pain severity and number of pitting ulcers, and number of perioral folds and open- mouth area were obtained by a rheumatologist at the beginning of the study. Finger to palm distance was measured in centimeters and can be described as the gap between tip of the index finger and palmar area while patient was trying to close his or her fist. The perioral folds were counted while the mouth was closed. For a simple calculation, open-mouth area was calculated by multiplying its maximum horizontal and vertical diameters. All patients were photographed in everysession. The possible adverse effects of the drug were monitored using a complete set of laboratory tests including complete blood counts (CBC), blood urea nitrogen (BUN), creatinin (Cr), erythrocyte sedimentation rate (ESR), C- reactive protein (CRP), prothrombin time (PT), partial thromboplastin time (PTT), serum glutamic oxaloacetictransaminase (SGOT), serum glutamic pyruvic transaminase (SGPT), alkaline phosphatase (Alp), serum albumin (Alb), total serum protein (Total Pr), amylase, serum sodium (Na), potassium (K), calcium (Ca), magnesium (Mg) and phosphorous (P). The physician also examined the patients and asked about symptoms at each visit to check for any possible sideeffects. Patients underwent a course of treatment with ANGIPARS™, which included a herbal extract prepared and delivered by ParsRoos Co. (Tehran, Iran). We chose the ANGIPARS™ dose based on our experience of its use in diabetic foot ulcer patients. ANGIPARS™ capsules (each capsule contains 100 mg active agent) were prescribed for 9 months. Patients received 3 capsules per day for the first 6 months and 2 capsules per day for the remaining three months. They were followed up for an additional 3 months following the end of the treatment. The instructions for the use of ANGIPARS™ advise to take the drug after a meal to prevent gastric discomfort. As most of the patients with scleroderma suffer from dysphagia and gastric problems, and with our previous experience that showed ingestion of ANGIPARS with a half full stomach is tolerated much better, the subjects were instructed to ingest the capsules 0.5-1 hour after ameal. Patients were visited for a follow-up 10 times at the hospital clinic by the same physician during a 12 month study period in accordance with an agreed protocol. Visits were carried out monthly during the first 6 months and at slightly longer intervals thereafter. The patients were informed of the possible complications and were asked to consult our clinic immediately if any such complicationsdeveloped. The patients were taking part in standard treatments and their previous medication continued throughout the study, so ANGIPARS™ was added to the patients' treatments. According to the study's protocol, the patients were allowed to take medications where it was deemed necessary by a responsible physician. If any changes in patients' treatments related to the scleroderma, it was recorded. All the participants had chronic and stable cases of scleroderma and no significant changes in their treatment protocol occurred during the study. All of the physical examinations were performed by the samerheumatologist. The main end points of the study were the safety and efficacy of the drug in reducing skin thickness measured by the modified Rodnan score 24. Skin thickness was marked from 0 (normal) to 3 (severe)at 17 different body sites by a single assessor (Rheumatologist) who was unaware of each patient's score at the previous session. The marks were then summed to obtain the modified Rodnan score (with a maximum possible score of 51). The number of perioral folds, pitting ulcers, finger to palm distance, pain of pitting ulcers (as measured by the visual analogue scale), and open-mouth area werealso recorded as other outcomes to assess the changes of the skin involvement and efficacy of theANGIPARS™. Statistical analysis was carried out using SPPS (SPSS Inc., Chicago IL. version 11.5). Quantitative data was expressed as mean±standard deviation. The study variables were tested for normality by the Kolmogorov- Smirnov test. Repeated measure analysis was performed to analyze the data gathered over the study period. P values of below 0.05 were considered to be statisticallysignificant. Twelve patients, including 11 females (92%), met the inclusion criteria and were enrolled into the study. The mean age of the patients was 39 years old (ranging from 21 to 53 years). The mean duration of the disease was 8.3 years (ranging from 2.5 to 18 years) at the time of enrolment. One patient was dropped due to severe dysphagia and malabsorption after 4 months as she became incapable of swallowing the medication (Table 1). * This variable is normally distributed (Kolmogorov-Smirnov P value =0.626). Repeated measure analysis revealed a significant reduction in the modified Rodnan score, finger to palm distance, and number of pitting ulcers, and revealed an increase in the open-mouth area. The drug did not have any effect on the pain of the ulcers or the number of perioral folds. The results have been summarized in Table 2 (all the variables were normallydistributed). Analysis of laboratory measures did not show any significant changes and no abnormal results arose during the course of the study (Table 3). WBC, white blood cell, Hb, hemoglobin, Plt, platelet, ESR, erythrocyte sedimentation rate, CRP, C- reactive protein, PT, prothrombin time, PTT, partial thromboplastin time, SGOT, serum glutamic oxaloacetic transaminase SGPT, Serum glutamic pyruvic transaminase, AlP, alkaline phosphatase, Total Pr, total serum protein, Alb, serum albumin, Na, serum sodium, K, potassium, P, phosphorous, Ca, calcium, Mg, magnesium, BUN, blood urea nitrogen, and Cr,creatinin. Our results showed that ANGIPARSTM is safe and could significantly reduce skin thickness and finger to palm distance as well as helping with the process of healing pitting ulcers in patients withscleroderma. It also improves mouth opening by increasing the size of the open-mouth area. The safety of the drug was confirmed by serial measurements of a wide spectrum of laboratory parameters. We did not see any serious side effect that would have resulted in discontinuation of the treatment during the study period. In this study, we performed a phase 2 clinical trial. Phase 2 trials include studies that evaluate the effectiveness of a drug for a particular indication, or indications, in patients with a disease or condition under study. This is done to determine the common short-term side effects and risks25. We managed to recruit and retain 11 patients in this study. Although we were 3 short of our target sample size, because treatment effect was greater than 20% of ANGIPARS™24, our study demonstrated the therapeuticeffect. Angiogenesis has been described as a possible mechanism for ANGIPARSTM and has been successfully demonstrated in previous studies on diabetic foot ulcers and pressure ulcers [19, 20, 22, 23]. The present study revealed that ANGIPARSTM is effective in the treatment of pitting ulcers. As ischemia plays an important role in development of ulcers in scleroderma, we believe that this finding provides further evidence for the angiogenesis effect of the ANGIPARSTM and confirms the results of previousstudies [19, 20, 22, 23]. Several medications such as Methotrexate [26, 27], Bosentan [7, 12, 28] and some herbal medications (including Chinese herbs , evening primrose oil  and avocado/ soybean extract  have been used for the treatment of the skin manifestations of scleroderma. However, the results obtained from these studies are mixed. Kornet al. evaluated the effect of Bosentan on digital ulcersin 122 patients with scleroderma . The results showed that Bosentan is effective in the treatment of skin ulcers in scleroderma. With regard to the efficacy and safety of Bosentan, the same results were achieved by other researchers . Methotrexate has also been used for the treatment of digital ulcers in scleroderma, however, controversy exists surrounding the efficacy of Methotrexate. Pope and colleagues evaluated the effect of Methotrexate on 71 patients with early diffuse SSc in a randomized controlled trial  and did not find a considerable improvement in skin condition with this drug. In contrast, Kroft and associates , in a recent study, assessed the efficacy of Methotrexate on 58 patients and concluded that Methotrexate is effective in the treatment of various sclerotic skindiseases. Evening primrose oil contains a high concentration of gamma-linolenic acid, a precursor for prostaglandin E1 , and it may therefore be effective in the treatment of vascular abnormalities, including the skin manifestations of scleroderma. However, there has not been a consensus regarding its possible therapeutic effects in the treatment of Raynaud's phenomenon in otherstudies [32, 33]. Another herbal medication that has beenused successfully for the management of the skin manifestations of scleroderma is avocado/soybean extract31. However, penicillin use before the initiation of the treatment has made the interpretation of the results difficult. There are some reports that say infection may play a role in the pathogenesis of ulcers in SSc and it is not clear whether the improvement of the ulcers relates to the penicillin or the avocado/soybeanextract . In spite of the introduction of these treatments, prostaglandin analogue infusion is still considered to be the gold standard treatment for refractory digital ulcers in scleroderma. However, the results have been heterogeneous and administration of the drug has been associated with many adverse effects that resultin hospitalization . Bosentan has also been suggested as the line of treatment in refractory ulcers second to the standard treatments . Our study shows that ANGIPARSTM could be added to the current list of treatments. However, the efficacy of the drug must be tested in a further large, randomized controlled trial before its routine clinicalapplication. ANGIPARSTM is effective in reducing skin thickness in scleroderma measured by the modified Rodnan score. A higher Rodnan score has been described as a risk factor for the development of digital ulcers in scleroderma 34, this led us to believe that it could be the mechanism that ANGIPARASTM helps with the healing of pitting or digitalulcers. Skin thickness in scleroderma is the result of an increase in collagen, intercellular matrix formation in the dermis, and edema - likely developed by both microvascular injury and inflammation. Because of the accumulation of collagen and fluid, the skin becomes thickened, making it impossible to pinch it into a normal skin fold . ANGIPARSTM reduces the skin thickness, although its exact mechanism of action is not yet fully known. There is evidence to suggest that ANGIPARS™ acts directly on endothelial cells and plays an important role in angiogenic activity  as well as acting indirectly through its immuno-modulatory effect [36-38]. Improvement in finger to palm distance and open-mouth area are two other manifestations of reduction in skin thickness byANGIPARSTM. In conclusion, our study shows that ANGIPARSTM is safe and could significantly reduce the thickness of skin. Its therapeutic effects however, should be further examined in larger placebo controlledtrials. Authors have no conflict ofinterests. We would like to express our sincere gratitude to Farzan Institute for Research & Technology and Iranian Rheumatology Research Center for technical assistance. Varga J. Systemic sclerosis: an update. Bull NYU Hosp Jt Dis 2008; 66:198-202. Alivernini S, De Santis M, Tolusso B, Mannocci A, Bosello SL, Peluso G, Pinnelli M, D'Antona G,LaTorre G, Ferraccioli G. Skin ulcers in systemic sclerosis:determinants of presence and predictive factors of healing. J Am Acad Dermatol 2009; 60:426-435. Wigley FM, Flavahan NA. Raynaud's phenomenon.Rheum Dis Clin North Am 1996; 22:765-781. Ferri C, Valentini G, Cozzi F, Sebastiani M, Michelassi C, La Montagna G, Bullo A, Cazzato M, Tirri E, Storino F, Giuggioli D, Cuomo G, Rosada M, Bombardieri S, Todesco S, Tirri G; Systemic Sclerosis Study Group of the Italian Society of Rheumatology (SIR-GSSSc). Systemic sclerosis: demographic, clinical, and serologic features and survival in 1,012 Italian patients. Medicine (Baltimore) 2002; 81:139-153. Mawdsley AH. Patient perception of UK scleroderma services--results of an anonymous questionnaire. Rheumatology (Oxford) 2006; 45:1573. Gliddon AE, Dore CJ, Maddison PJ. Influence of clinical features on the health status of patients with limited cutaneous systemic sclerosis. 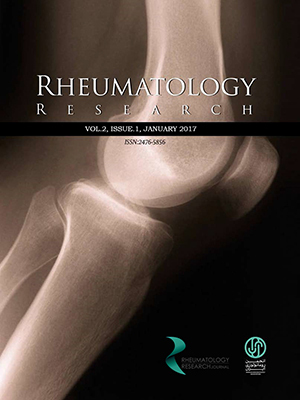 Arthritis Rheum 2006;55:473-479. Korn JH, Mayes M, Matucci Cerinic M, Rainisio M, Pope J, Hachulla E, Rich E, Carpentier P, Molitor J, Seibold JR, Hsu V, Guillevin L, Chatterjee S, Peter HH, Coppock J, Herrick A, Merkel PA, Simms R, Denton CP, Furst D, Nguyen N, Gaitonde M, Black C. Digital ulcers in systemic sclerosis: prevention by treatment with bosentan, an oral endothelin receptor antagonist. Arthritis Rheum 2004; 50:3985-3993. Clements PJ, Furst DE, Wong WK, Mayes M, White B, Wigley F, Weisman MH, Barr W, Moreland LW, Medsger TA Jr, Steen V, Martin RW, Collier D, Weinstein A, Lally E, Varga J, Weiner S, Andrews B, Abeles M, Seibold JR. High-dose versus low-dose D- penicillamine in early diffuse systemic sclerosis: analysis of a two-year,double-blind, randomized, controlled clinical trial. Arthritis Rheum 1999; 42:1194-1203. Derk CT, Huaman G, Jimenez SA. A retrospective randomly selected cohort study of D-penicillamine treatment in rapidly progressive diffuse cutaneous systemic sclerosis of recent onset. Br J Dermatol 2008;158:1063-1068. Chamaillard M, Heliot-Hosten I, Constans J, Taïeb A.Bosentan as a rescue therapy in scleroderma refractory digital ulcers. Arch Dermatol 2007; 143:125-126. Selenko-Gebauer N, Duschek N, Minimair G, Stingl G and Karlhofer F. Successful treatment of patients with severe secondary Raynaud's phenomenon with the endothelin receptor antagonist bosentan. Rheumatology (Oxford) 2006; 45 Suppl 3:iii45-48. Garcia de la Pena-Lefebvre P, Rodriguez Rubio S, Valero Exposito M, Carmona L, Gámir Gámir ML, Beltrán Gutiérrez J, Díaz-Miguel C, Orte Martínez J and Zea Mendoza A C. Long-term experience of bosentan for treating ulcers and healed ulcers in systemic sclerosis patients. Rheumatology (Oxford) 2008; 47: 464-466. Snyder MJ, Jacobs MR, Grau RG, Wilkes DS, Knox KS.Resolution of severe digital ulceration during a course of Bosentan therapy. Ann Intern Med 2005; 142:802-803. R, Larijani B, Farhadi M, Madani SH. Evaluation ofacute and sub-chronic toxicity of Semelil (ANGIPARS), a new phytotherapeutic drug for wound healing in rodents. Daru 2008; 16:7-14. Farzamfar B, Abdollahi M, Ka'abinejadian S, Heshmat R, Shahhosseiny MH, Novitsky YA and Farhadi M. Sub- chronic toxicity study of a novel herbal-based formulation (Semelil) on dogs. Daru 2008; 16:15-19. Khorram Khorshid HR, Sadeghi B, Heshmat R, Abdollahi M, Salari P, Farzamfar B, Madani SH. In vivo and in vitro genotoxicity studies of Semelil (ANGIPARS). Daru 2008; 16:20-24. Masoompour SM, Bagheri MH, Borhani Haghighi A,Novitsky YA, Sadeghi B, Gharibdoust F, Larijani B, Ranjbar Omrani G. Effect of ANGIPARS, a new herbal drug on diabetic foot ulcer: A phase 2 clinical study. Daru 2008; 16:31-34. Larijani B, Heshmat R, Bahrami A, Delshad H, Ranjbar Omrani G, Mohammad K,Heidarpour R, Mohajeri Tehrani MR, Kamali K, Farhadi M, Gharibdoust F, Madani SH. Effects of intravenous Semelil (ANGIPARS) on diabetic foot ulcers healing: A multicenter clinical trial. Daru 2008; 16:35-40. Bahrami A, Kamali K, Ali-Asgharzadeh A, Hosseini P, Heshmat R, Khorram Khorshid HR,Gharibdoust F, Madani SH, Larijani B. Clinical application of oral form of ANGIPARS and in combination with topical form as a new treatment for diabetic foot ulcers: A randomized clinical trial. Daru 2008; 16:41-48. Heshmat R, Mohammad K, Mohajeri Tehrani MR,Tabatabaie Malazy O, Keshtkar AA, Gharibdoust F, Larijani B. Assessment of maximum tolerated dose of a new herbal drug, Semelil (ANGIPARS) in patients with diabetic foot ulcer: A Phase I clinical trial. Daru 2008;16:25-30. Shamimi Nouri K, Karimian R, Nasli E, Kamali K, Chaman R, Farhadi M, Madani SH, Larijani B, Khorram Khorshid HR. Topical application of Semelil(ANGIPARS) in treatment of pressure ulcers: A randomized clinical trial. Daru 2008; 16:54-57. Shamimi Nouri K, Heshmat R, Karimian R, Nasli E, Larijani B, Novitsky YA, Farhadi M, Gharibdoust F.Intravenous Semelil (ANGIPARS) as a novel therapy for pressure ulcers: A randomized clinical trial. Daru 2008;16:49-53. Brennan P, Silman A, Black C, Bernstein R, Coppock J, Maddison P, Sheeran T, Stevens C, Wollheim F.Reliability of skin involvement measures in scleroderma.The UK Scleroderma Study Group. Br J Rheumatol 1992; 31:457-460. Understanding Clinical Trials: The U.S. National Institute of Health, 2009. Pope JE, Bellamy N, Seibold JR, Baron M, Ellman M, Carette S, Smith CD, Chalmers IM, Hong P, O'Hanlon D,Kaminska E, Markland J, Sibley J, Catoggio L, Furst DE. A randomized, controlled trial of methotrexate versus placebo in early diffuse scleroderma. Arthritis Rheum 2001; 44:1351-1358. Kroft EB, Creemers MC, van den Hoogen FH, Boezeman JB, de Jong EM. Effectiveness, side-effects and period of remission after treatment with methotrexate in localized scleroderma and related sclerotic skin diseases: an inception cohort study. Br J Dermatol 2009; 160:1075-82. Funauchi M, Kishimoto K, Shimazu H, Nagare Y, Hino S, Yano T, Kinoshita K. Effects of bosentan on the skin lesions: an observational study from a single center in Japan. Rheumatol Int 2009; 29:769-775. Dharmananda S. TREATING SCLERODERMA WITH CHINESE HERBS. Gaby AR. Natural remedies for scleroderma. Altern Med Rev 2006; 11:188-195. Jablonska S. Avocado/soybean unsaponifiables in the treatment of scleroderma: comment on the article by Maheu et al. Arthritis Rheum 1998; 41:1705. Stainforth JM, Layton AM, Goodfield MJ. Clinical aspects of the use of gamma linolenic acid in systemic sclerosis. Acta Derm Venereol 1996 ;76: 144-146. Belch JJ, Shaw B, O'Dowd A, Saniabadi A, Leiberman P, Sturrock RD, Forbes CD. Evening primrose oil (Efamol) in the treatment of Raynaud's phenomenon: a double blind study. Thromb Haemost 1985; 54: 490-494. Hachulla E, Clerson P, Launay D, Lambert M, Morell- Dubois S, Queyrel V, Hatron PY. Natural history of ischemic digital ulcers in systemic sclerosis: single-center retrospective longitudinal study. J Rheumatol 2007;34:2423-2430. Czirjak L, Foeldvari I, Muller-Ladner U. Skin involvement in systemic sclerosis. Rheumatology (Oxford) 2008; 47: v44-45. Gärtner R, Gasnier BC, Dietrich JW, Krebs B,Angstwurm MW. Selenium supplementation in patients with autoimmune thyroiditis decreases thyroid peroxidase antibodies concentrations. J Clin Endocrinol Metab 2002;87:1687- 1691. Köhrl J, Brigelius-Flohé R, Böck A, Gärtner R, Meyer O, Flohé L. Selenium in biology: facts and medical perspectives. Biol Chem 2000; 381:849-864. McKenzie RC, Rafferty TS, Beckett GJ. Selenium: an essential element for immune function. Immunol Today 1998; 19:342-345.